Yesterday’s announcement that a new, not-for-profit consortium of producers and organisations called Independent Music Theatre (IMT) is to run the Reginald Murphy Hall in Potts Point as a home for small-scale music theatre and cabaret has my heart singing. It’s exciting news given the potential for the company to become an important and much-needed addition to Sydney’s musical theatre scene. Currently known as the Darlinghurst Theatre, the 111-seat venue was home to the Darlinghurst Theatre Company from 1999 until this March when the company vacated it to move into the new Eternity Playhouse in East Sydney, opening in November. Having won the tender from the City of Sydney Council to become the next resident company, IMT will announce a new name for the venue in the coming weeks. 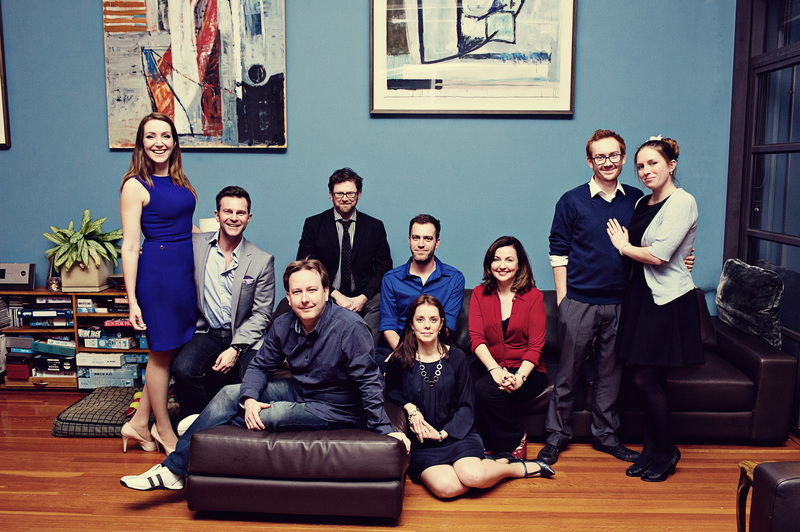 Describing themselves as a “collaborative partnership”, IMT comprises a team of organisations who already have runs on the board producing small-scale musicals and cabaret: Luckiest Productions (David Campbell, Lisa Campbell and Richard Carroll), Neglected Musicals (Michelle Guthrie), Squabbalogic (Jay James-Moody and Jessica Burns, who are soon to stage Bloody Bloody Andrew Jackson at The Factory in Marrickville), Neil Gooding Productions (who produced the Australian musical The Hatpin by Peter Rutherford and James Millar) and independent producers Michael Huxley and Simone Parrott. Commercial musicals currently dominate the music theatre scene in Sydney – and there aren’t that many of those each year given the relatively limited audience compared to London or New York. It’s not that Sydney doesn’t see small-scale, independent musicals but the productions are sporadic and scattered around various venues. Presenting regular shows in one venue will give the work a very useful focus. Having their own home, where they can support each other, will also give the companies involved a better chance to survive and thrive. Initially IMT’s audience is likely to be industry-based along with serious musical theatre fans but if the work is good a broader audience will hopefully follow pretty quickly. London’s Menier Chocolate Factory is an obvious model, whose success will doubtless be encouraging for the IMT team. The chance to see musicals from overseas that would otherwise be unlikely to make it to our shores – whether that be little seen classics or more recent, innovative work – is so important for the development of the artform, as well as for the people who want to make it and perform in it. Developing new Australian musicals – that most challenging of theatrical beasts – is something that IMT will hopefully be well placed to undertake in the fullness of time. It is a small venue but the IMT team are specialists in the field of small-scale music theatre and cabaret and should have the expertise and nous to choose the right shows and make them work in the intimate setting. Neglected Musicals is already associated with the venue having presented terrific rehearsed readings of nine musicals there including No Way to Treat a Lady, On the Twentieth Century and Variations by Australia’s Terry Clarke and the late Nick Enright. Stephen Colyer’s Gaiety Theatre (not associated with IMT) has also had success staging musicals there, including Hello Again and Kiss of the Spiderwoman. The first IMT production is likely to be presented at the start of next year. I can’t wait.